When one hears the words “Jamaica” and “refuge,” most certainly the image of an urban oasis minutes away from the country’s largest city does not come to mind. Yet, Gateway National Recreation Area’s Jamaica Bay Wildlife Refuge is a metropolitan wilderness just a stone’s throw from the hustle and bustle of New York City. Jamaica Bay was originally managed by the New York City Parks Department and, in 1972, the city transferred the refuge to the National Park Service to become part of Gateway National Recreation Area. Today you can still see East Pond and West Pond, major landscape features that were created back in the city park days. Gateway has three separate units located in three boroughs of New York City and on Sandy Hook in central New Jersey. Gateway National Recreation Area encompasses more than 26,000 acres in New York and New Jersey and attracts almost 10 million visitors who enjoy year round recreational and educational programs. 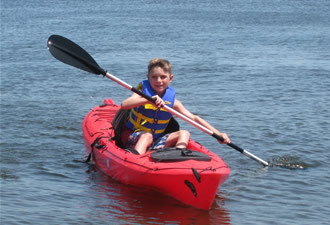 The wildlife refuge comprises 9,155 acres of diverse habitats including salt marsh, fresh and brackish water ponds, upland field and woods, and an open expanse of bay that begs you to kayak or canoe. At the visitor station, which is eligible for LEED (Leadership in Energy and Environmental Design) certification, rangers offer tips on the best bird watching spots and places to stroll along quiet trails. There are exhibits that highlight Jamaica Bay's remarkable plant and animal life, history, and the ways people continue to shape the nature of the bay. Join a ranger or volunteer for an activity or family program that piques your interest – wildlife watching, for example – or take a sunset tour. A birder's paradise, more than 330 bird species have been sighted at the refuge over the last 25 years – this is nearly half the species in the northeast United States. It is one of the most significant bird sanctuaries in the country and one of the best places in New York City to observe migrating species. 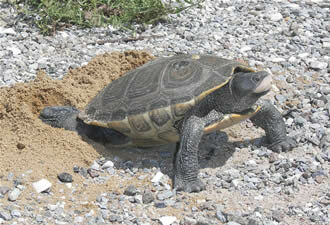 The refuge is also home to an impressive array of reptiles, amphibians, small mammals, over 60 species of butterflies, and a large population of horseshoe crabs. Though they were once on the verge of extinction because of pollution, the osprey is one of Jamaica Bay's biggest success stories. The populations are now on the rise, thanks to the resource management and stewardship of the National Park Service and cooperating agencies. You can often spot these birds at their nests on one of the specially built platforms. It’s not just the birds that are tweeting at the refuge, park rangers are too! 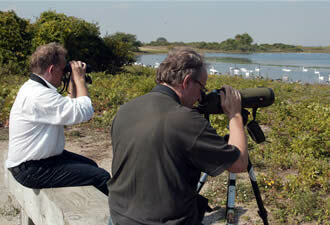 You can stay posted on bird sightings and current photos of activities in the park by following us on Twitter. And, of course, come see for yourself and tell your friends you’re taking the subway to Jamaica… Bay.